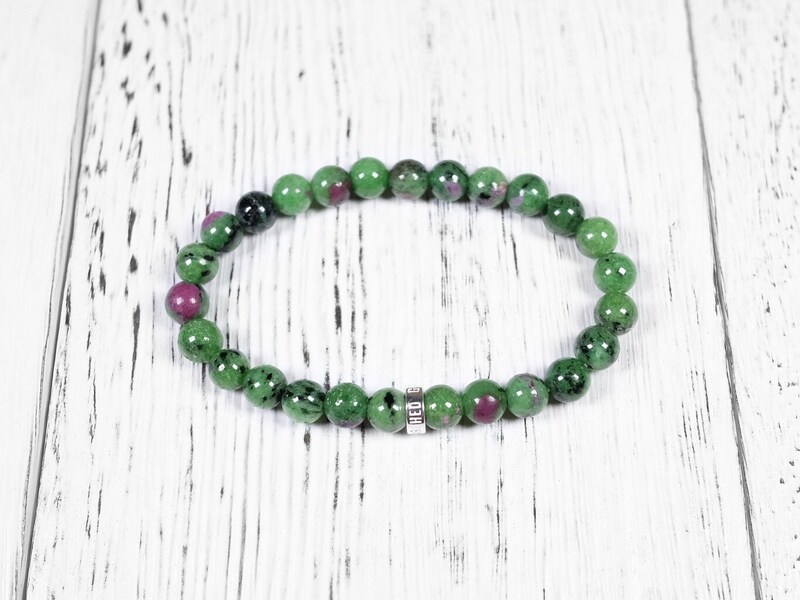 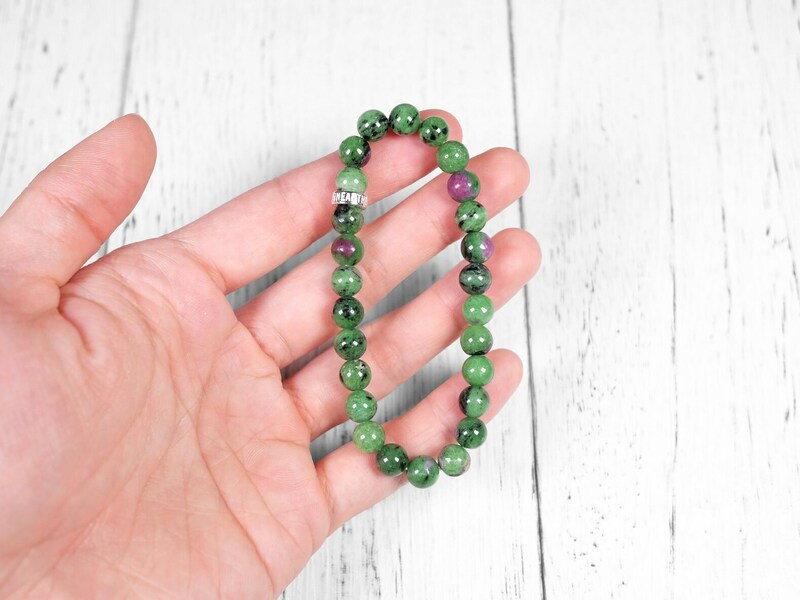 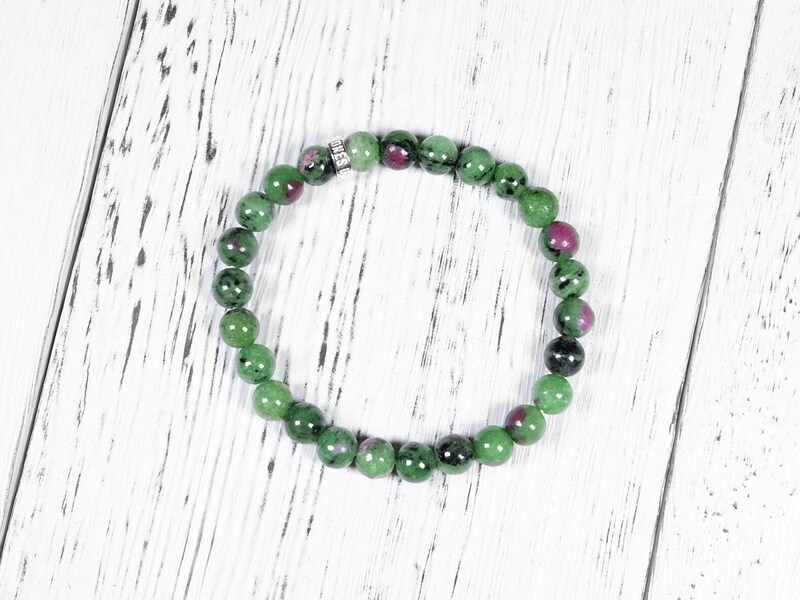 This ruby zoisite bracelet has primarily green zoisite with some black amphiboile and red ruby. 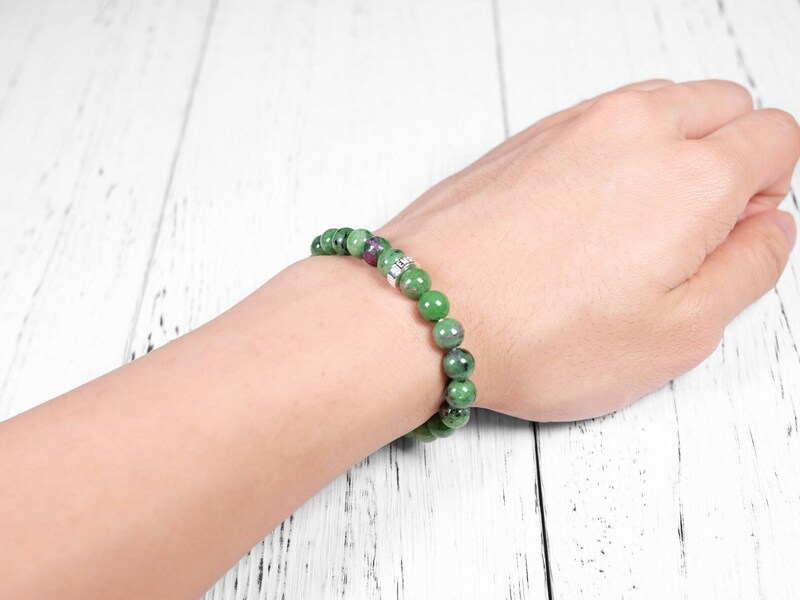 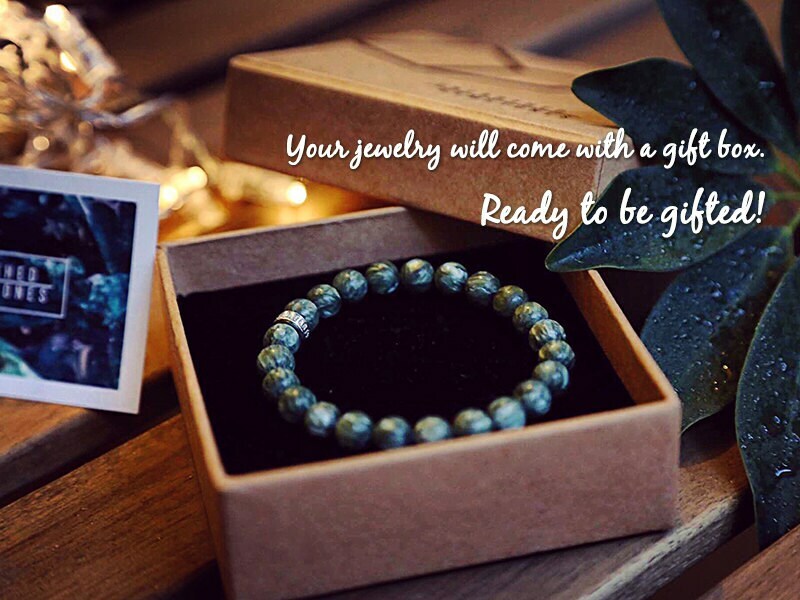 This unique gemstone is paired with Unearthed Gemstones sterling silver to create a modern day-to-day piece. 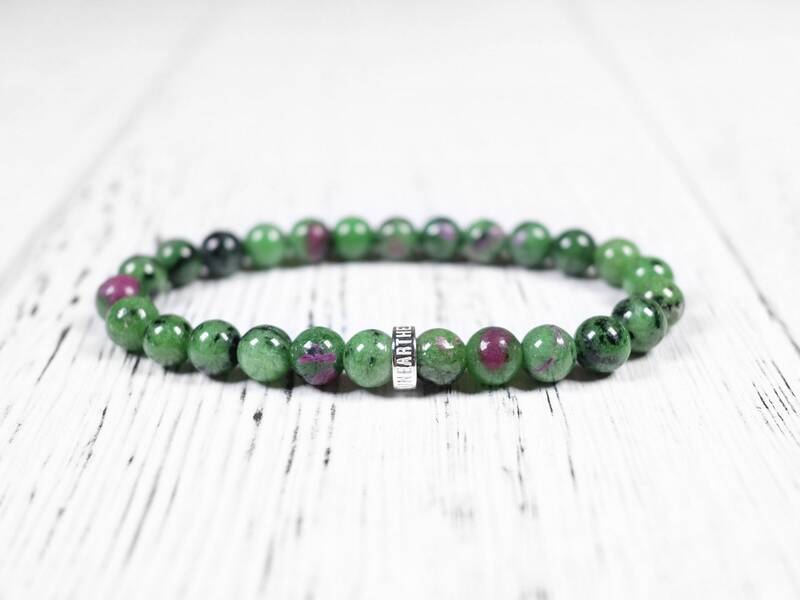 Ruby zoisite is a unique combination stone with both ruby and the mineral zoisite. 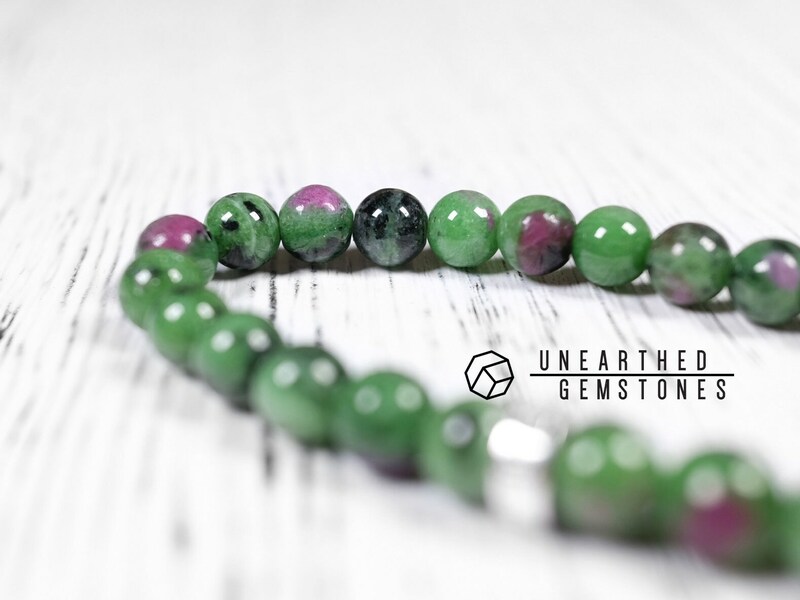 It is also known as “anyolite”. 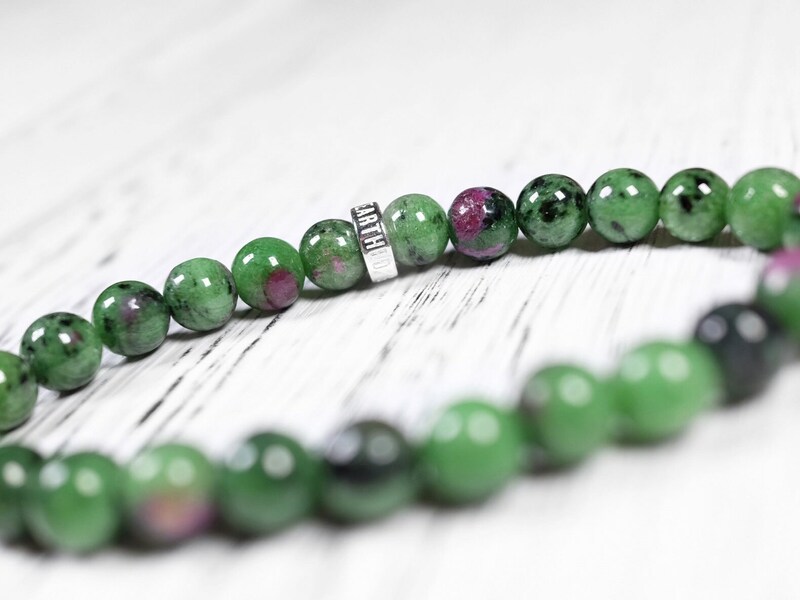 Ruby gives the deep red color to the gemstone, while zoisite provides the green backdrop. 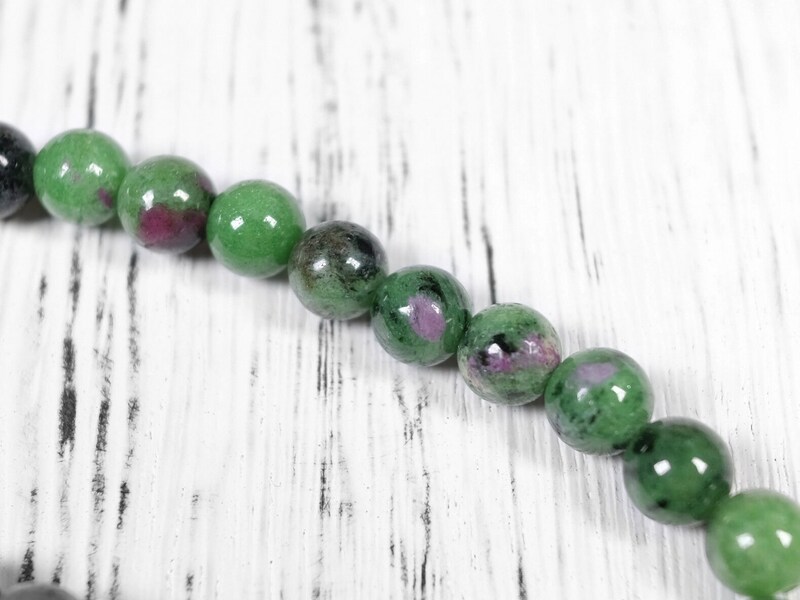 Black amphibole mineral is common in ruby zoisite, giving the stone interesting black patterns.